Looking for some sweet and flavorful beef recipe? Then Mongolian Beef should be added to your menu list. It’s sauce combination is what make it savory beef dish. Serve it with hot bowl of rice and you’ll definitely ask for more. In a bowl, mix in the beef, egg white ad cornstarch. Season with salt and pepper. Mix until beef is evenly coated. Prepare the sauce. In a separate bowl mix in the soy sauce, oyster sauce, hoisin sauce, vinegar and sugar. Also pour in about a 3/4 cups of water. Mix until properly incorporated. Set aside. 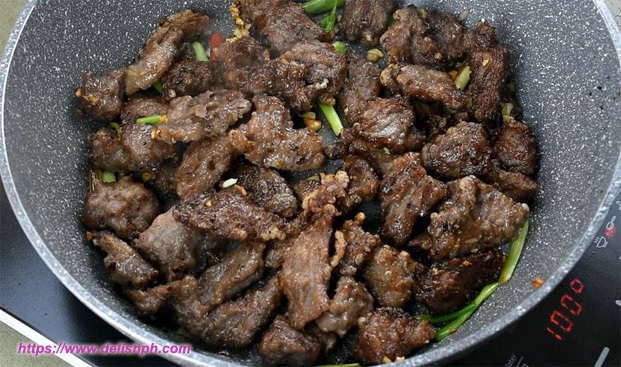 Heat a good amount of oil in a pan, fry beef until brown on both sides. Use paper towel to remove excess oil. Set aside. Saute onion, garlic, ginger and green onions. Add fresh chili. Add back in the fried beef. Pour in the sauce mixture. Cook for about 10 minutes. Then add in the green onions. Lastly, to thicken the sauce, pour in the slurry or cornstarch diluted in water. Cook for another 5 minutes. 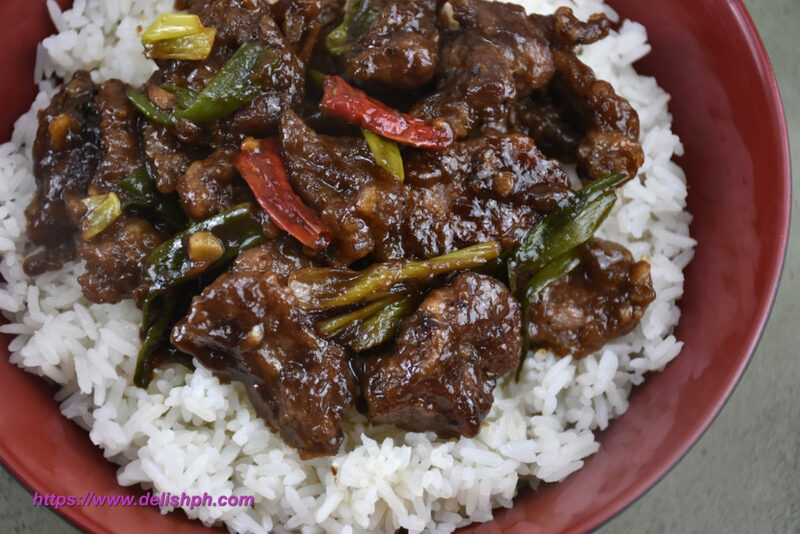 It’s time to make your own mongolian beef at home. I also added few slices of chilies to add some kick. If you have any question about this dish, drop a comment below or send me an email or direct message us on our Facebook Page.